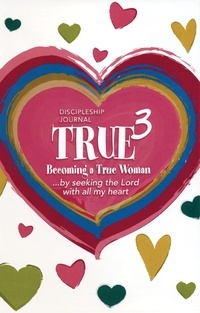 This third and final edition of this teen discipleship curriculum series will help girls love others. In 15 lessons teen girls will learn about gratitude, unity, mercy, oneness, life, and fruitfulness. Finally they will learn about Giving the Legacy by studying the book of Ruth and applying it to their lives. Part 1, Lessons 1-5: How to understand Scripture from a covenant perspective. Part 2, Lessons 6-11: How to live covenantally in relationships. Part 3, Lessons 12-15: Applying what was learned in Parts 1 and 2 through a study of Ruth.